The title of this paper may catch some off guard. You or someone you know might be an atheist and you feel as though you have no despair when contemplating your death. I don’t doubt that there are many atheist that, in fact, have no despair over death. But, for the atheist to live without despair, they must do so inconsistently. In my paper, I will show why it is logically inconsistent for an atheist to live and face death with happiness. To do this I want to present two major arguments. The first is from the theist point of view that life is meaningless without God and thus death is hopeless. This is derived from two of the world’s top philosophers, William Lane Craig and Ravi Zacharias (both are theists). It should be noted that this argument will be supplemented with the thoughts of several respected atheistic philosophers so one does not think they are being biased. The second part of the paper will show why death is a necessary evil within the atheistic world view. To demonstrate this I will be drawing from the works of a major contemporary, atheist philosopher, Thomas Nagel. Both arguments are convincing by themselves, but I hope to show that with the two of them together, it is even more compelling to believe that the atheist must face death with despair. I don’t doubt that many atheist have been able to boldly face death without fear, but I do believe that they were being inconsistent in their world view. Albert Camus said that death is philosophy’s only problem. That is quite the statement. Not only is death a problem, but a it is a large one. Why is death such a problem for someone like Camus? He was an atheist and I will attempt to show that death is a problem for all atheists. Atheism cannot offer any comfort in the face of death. You see, everything we do includes some kind of hope. However, what kind of hope can the atheist give in the face of death? One may say that death is the final freeing of all desires and thus is good. Or that one can have hope in death if they are suffering. These really are just false hopes that I hopefully will clearly show. After the death of his friend, Arthur Hallam, Alfred, Lord Tennyson composed his poem, “In Memorium”. This poem show the struggle he had as he wrestled with grief and the question of what ultimate power manages the fate of man. It shows the struggle he had between his realization of the consequences of his choice between atheism and God. I will quote a lengthy excerpt to feel the full impact. No more? A monster then, a dream. Atheism has parented this offspring, and it is her legitimate child–with no mind to look back to for his origin, no law to turn to for guidance, no meaning to cling to for life, and no hope for the future. This is the shattered visage of atheism. It has the stare of death, looking into the barren desert of emptiness and hopelessness. Thus, the Nietzschean dogma, which dawned with the lantern being smashed to the ground, now ends in the darkness of the grave. Is this true? Is there no hope in atheism? Is there no meaning in a world without God? William Lane Craig offers a resounding yes. Craig argues that if God doesn’t exist, then man and the universe are doomed to die. There is no hope of immortality. Our lives are but an infinitesimally small point that appears and then vanishes forever. This is because within an atheistic world view there can be no meaning or purpose. I’m sure that many will be quick to disagree with me because they are an atheist or know an atheist who does ascribe meaning and purpose to their lives. But is this consistent within the atheistic world view? I don’t think so. If everything is doomed to go out of existence, can there be any ultimate significance? If we are inevitably faced with nonexistence can our lives have any ultimate significance? Influencing others or influencing history doesn’t give your life ultimate significance. It only gives it relative significance. Your life is important relative to certain events, but there is no ultimate significance to those events if all will die. Ultimately, your life makes no difference. Even the universe is doomed to die (due to the Second Law of Thermodynamics). So what ultimate difference would it make if the universe never came to exist at all if it is doomed to become dead? If one’s destiny is the grave, what ultimate purpose is their for life? The same is true of the universe. If it is doomed to become a forever expanding pile of useless debris, what purpose is there for the universe? To what end is the world or man in existence? There can be no hope, no purpose. What is true of mankind is true of individuals as well. So there can be no purpose in any individual’s life. My life wouldn’t be qualitatively different than the life of a dog.This thought is expressed by the writer of Ecclesiastes, “The fate of the sons of men and the fate of beasts is the same. As one dies so dies the other; indeed, they all have the same breath and there is no advantage for man over beast, for all is vanity. All go to the same place. All come from the dust and all return to the dust” (Ecc 3:19-20). The universe and man are cosmic accidents. There is no reason for our existence. Man is a cosmic orphan. Without God the universe is the result of a cosmic accident, a chance explosion. There is no reason for which it exist. As for man, he is a freak of nature–a blind product of matter plus time plus chance. Man is just a lump of slime that evolved into rationality. There is no more purpose in life for the human race than for a species of insect; for both are the result of the blind interaction of chance and necessity. If we are only cosmic accidents, how can there be any meaning in our lives? If this is true, which it is in an atheistic world view, our lives are for nothing. It would not matter in the slightest bit if I ever existed. This is why the atheist, if honest and consistent, must face death with despair. Their life is for nothing. Once they are gone, they are gone forever. What I relate is the history of the next two centuries. I describe what is coming, what can no longer come differently: the advent of nihilism.. ..Our whole European culture is moving for some time now, with a tortured tension that is growing form decade to decade, as toward a catastrophe: restlessly, violently, headlong, like a river that wants to reach the end, that no longer reflects, that is afraid to reflect. That Man is the product of causes which had no prevision of the end they were achieving; that his origin, his growth, his hopes and fears, his loves and his beliefs, are but the outcome of accidental collocations of atoms; that no fire, no heroism, no intensity of thought and feeling, can preserve an individual life beyond the grave; that all the labours of the ages, all the devotion, all the inspiration, all the noonday brightness of human genius, are destined to extinction in the vast death of the solar system, and that the whole temple of Man’s achievement must inevitably be buried beneath the debris of a universe in ruins–all these things, if not quite beyound dispute, are yet so nearly certain, that no philosophy which rejects them can hope to stand. Only within the scaffolding of these truths, only on the firm foundation of unyielding despair, can the soul’s habitation henceforth be safely built. “Only on the firm foundation of unyielding despair,”? What can be placed on such a foundation? 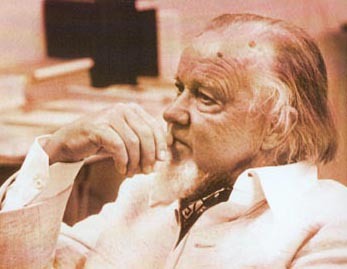 Francis Schaeffer illustrates this problem well. He says that we live in a two story universe. On the first story the world is finite without God. This is what Sartre, Russell, and Nietzsche describe. Life here is absurd, with no meaning or purpose. On the second story life has meaning, value, and purpose. This is the story with God. Modern man resides on the first floor because he believes there is no God. But as we have shown, he cannot live there happily, so he makes a leap of faith to the second story where there is meaning and purpose. The problem is that this leap is unjustified because of his disbelief in God. Man cannot live consistently and happily knowing life is meaningless. Of course, atheists don’t want to live in this kind of a predicament so they attempt to ascribe meaning to life and value to death. Walter Kaufmann does this in his book,Existentialism. Religion. and Death. The last chapter is entitled, “Death Without Dread”. He quotes several poems from a span of 150 years by poets from many different countries. 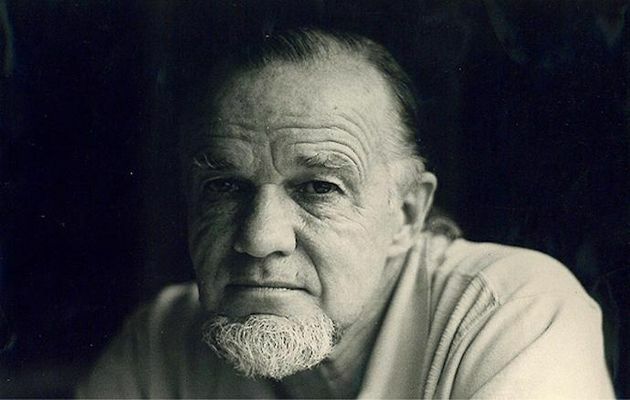 He shows that death is commonly viewed without fear and he hypothesizes that death is only feared as a result of the impact of Christianity on culture. One of the poems quoted is by Matthias Claudius (1740-1815), it is entitled “Death and the Maiden,” and was eventually set to music by Franz Schubert. Wild monster, made of bone! I am still young; Oh, no! Oh, please leave me alone! Give me your hand, my fair and lovely child! A friend I am and bring no harm. You shalt sleep gently in my arm. When Sartre, who agreed with Nietzsche, was asked why he didn’t commit suicide, he replied by saying that he didn’t want to use his freedom to take away his freedom. This is an absurd solution though, because they say that freedom is the problem with its aimlessness, pain, and despair. Kaufmann argues that if we live life richly and not expect to live long lives then when we die we can combat the hopelessness of death because we won’t feel cheated or won’t feel as though we need more time. The problem lies in the fact that Kaufmann makes the jump to the second story. He wants to ascribe meaning to a richly lived life, which I’ve shown can’t be done in a God-less universe. When he says that one won’t feel as though they’ve been deprived of time when they die is wishful thinking. One of his contemporaries, Thomas Nagel (an atheist) shows the falsity in this thinking. He argues that if life is all we have, then its loss is the greatest loss we can encounter. Nagel’s goal is to see whether death is in itself an evil, how great of an evil it is, and what kind of evil it is. There are three objections that many have raised about the proposition that death is an evil. 1) One may doubt that there are any evils which solely consist in the deprivation or absence of possible good, particularly when one doesn’t mind the deprivation (because they don’t exist). What you don’t know, can’t hurt you. 2) How is the supposed misfortune assigned to the subject? So long as one exists, he isn’t dead, and once he dies he no longer exist. So there can be no time when death, if it is a misfortune, can be ascribed to the subject. 3) Finally, the asymmetry of our attitudes towards our posthumous and prenatel nonexistence. Why can we view the eternity after our death as bad, but not the eternity before our birth? He illustrates the errors of the first two objections with a simple illustration that is analogous to death. Imagine an intelligent man being reduced to the mental condition of a content infant. Even though he is content, we pity him. Yet, he doesn’t realize this tragedy, for he is a content infant. Does the phrase, “What we don’t know doesn’t hurt us,” apply to him? If so why do we pity him? Second, it isn’t the content infant who is unfortunate, rather, it is the intelligent adult who has been reduced to this condition. We shouldn’t and don’t focus on the content infant, instead we consider the person he was and the person he could be now. So his reduction to this state and the premature ending of his adult development is a catastrophe. Just as death is a catastrophe. What about the problem of our asymmetrical attitudes towards our posthumous and prenatel nonexisetence? Lucretius was the one who first pointed this out. He recognized that no one finds it disturbing to contemplate the eternity before their birth, which really is the same as the eternity after their death. Thus, it is irrational to fear death. Nagel disagrees, he argues that the time after death is the time in which nonexistence deprives a person. “Any death entails the loss of some life.” So the eternity after death isn’t the same as the eternity before birth, because one is deprived of life. Some may argue then, that one is deprived of life before birth as well because they could have been born earlier. But Nagel shows the fallacy of this thinking by pointing out that if one is born any earlier (except a few weeks premature), they would not be the same person. So it doesn’t entail the loss of any life. Lucretius, and any one who agrees with him, is wrong in thinking that it is irrational to fear death on the basis that we aren’t bothered by our prenatel eternity. Life makes known to us the goods of which death deprives us. Death, no matter when it happens deprives us of some continuation of life. While it is tragic for a 17 year old to die, it is just as tragic for a 90 year old to die because both are deprived of life and the good that comes with it. Viewed in this way, death, no matter how inevitable, is an abrupt cancellation of indefinitely extensive possible goods. Normality seems to have nothing to do with it, for the fact that we will all inevitably die in a few score years cannot by itself imply that it would not be good to live longer. Suppose that we were all inevitably going to die in agony — physical agony lasting six months. Would inevitability make that prospect any less unpleasant? And why should it be different for a deprivation? Not many atheists are as consistent as Thomas Nagal when they speak on death. 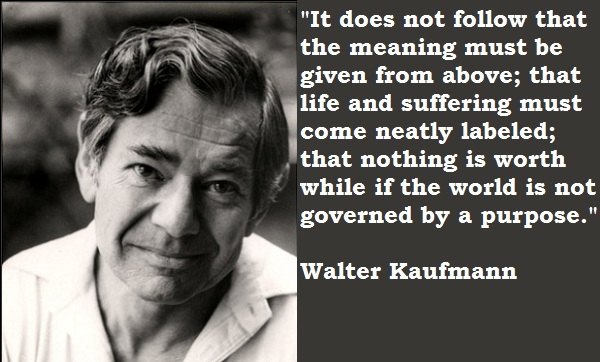 Kaufmann says he can face death without hopelessness because he lives richly and that gives meaning to his life. But what kind of meaning is it? If Kaufmann never existed, what ultimate difference would it make? None. If the atheists faces this honestly, how can he view death with anything but despair? As shown in these two extended arguments, death apart from God cannot be faced with anything but fear and despair if one is to live consistently within their atheistic world view. The only way an atheist can face death without despair is by ascribing ultimate meaning to their life, which is a jump to the second story and is completely inconsistent with atheism. Certainly it doesn’t follow, then, that theism is true simply because the atheist must face death with despair. If the atheist is right we must follow the instructions of Bertrand Russell and build our lives on the “firm foundation of unyielding despair.” We must look for the truth and then logically structure our lives accordingly. Obtaining hope from religion for the sake of hope, when that religion is not true, is simply obtaining false hope. False hope is no hope at all. That is why it is crucial to examine our world views to see if they are logically consistent and correspond to reality. It does one no good to put faith and hope into a god who doesn’t exist. However, if a god does exist, we must put our faith and hope into the right one. We’ve seen that within the atheistic world view there can be no meaning or purpose and this leads to hopelessness. The atheist must choose whether he wants to live consistently or happily. For as long as he is an atheist, he can’t do both. Notes1. Alfred, Lord Tennyson, In Memorium, (The Macmillan Company: New York, NY, 1906), pp.83-85, 55: 4-5; 56: 1-7. 2. Ravi Zacharias, A Shattered Visage: The Real Face of Atheism. (Baker Books: Grand Rapids, Ml, 1990), p. 105. 3. William Lane Craig, Reasonable Faith: Christian Truth and Apologetics, (Crossway Books: Wheaton, IL, 1984), p. 59. 5. Friedrich Nietzsche, “The Will to Power,” trans. W. kaufmann, in <i?existentialism from=”” dostoyevsky=”” to=”” sartre<=”” i=””>, (The World Publishing Company: Cleveland, OH, 1956), pp. 109-110. 6. Bertrand Russell, Mysticism and Logic. (W.W. Norton and Company, Inc.: New York, NY, 1929), pp. 47-49. 7. Jean-Paul Sartre, Being and Nothingness, (Philosophical Library: New York, NY, 1956), p.537. 8. Matthias Claudius, Death and the Maiden. Quoted in Walter kaufmann,Existentialism, Religion and Death (New American Library: New York, NY, 1976), p.228. 9. Friedrich Nietzsche, Twilight of the Idols. Quoted in Walter Kaufmann, Existentialism, Religion, and Death. (New American Library: New York, NY, 1976), p.237. 10. 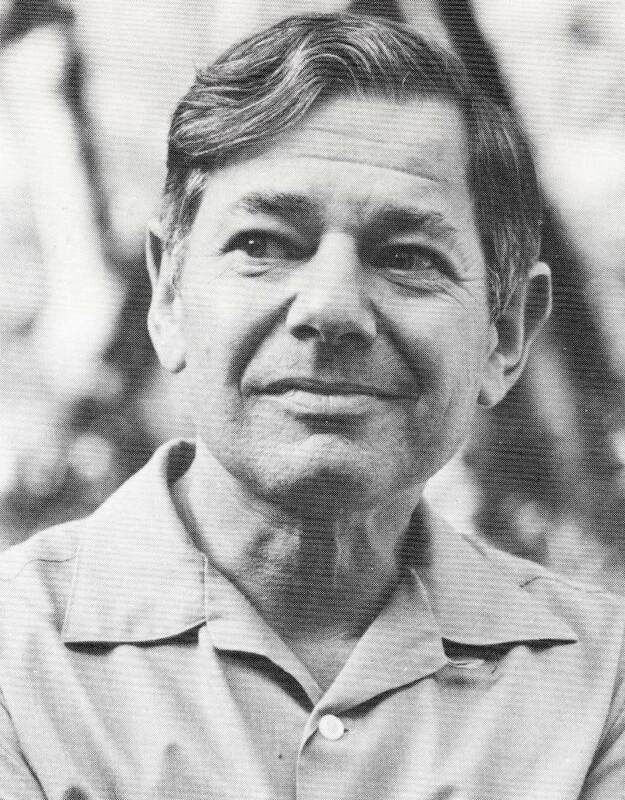 Walter kaufmann, Existentialism, Religion, and Death. (New American Library: New York, NY, 1976), p. 248. 11. Thomas Nagel, Mortal Questions. (Cambridge University Press: Cambridge, 1979), p.1. Episode #145: In her Beijing studio, Cao Fei discusses the inspirations, process, and challenges behind developing and building a virtual urban environment within the digital realm of Second Life for her project, “RMB City” (2007). Comparing the virtual landscape of “RMB City” to the styles of traditional Chinese brush paintings, Cao draws connections between the past and the present, Eastern and Western cultures, and aesthetic sensibilities developed from her upbringing. Cao’s work reflects the fluidity of a world in which cultures have mixed and diverged in rapid evolution. Her video installations and new media works explore perception and reality in places as diverse as a Chinese factory and the virtual world of Second Life. Depictions of Chinese architecture and landscape abound in scenes of hyper-capitalistic Pearl River Delta development, in images that echo traditional Chinese painting, and in the design of her own virtual utopia, “RMB City.” Fascinated by the world of Second Life, Cao Fei has created several works in which she is both participant and observer through her Second Life avatar, China Tracy, who acts as a guide, philosopher, and tourist. Cao Fei is featured in the Season 5 (2009) episode “Fantasy” of the “Art in the Twenty-First Century” television series on PBS. Learn more about Cao Fei: http://www.art21.org/artists/cao-fei VIDEO | Producer: Wesley Miller & Nick Ravich. Interview & Translation: Phil Tinari & Xiaotong Wang. Camera & Sound: Takahisa Araki & Frank Dellario. Editor: Joaquin Phoenix. Voiceover: Clara S. Jo. Artwork Courtesy: Cao Fei. Applying strategies of sampling, role play, and documentary filmmaking to capture individuals’ longings and the ways in which they imagine themselves—as hip-hop musicians, costumed characters, or digitized alter egos—Cao Fei reveals the discrepancy between reality and dream, and the discontent and disillusionment of China’s younger generation. Depictions of hyper-capitalistic Pearl River Delta development abound in images that echo traditional Chinese landscape painting and in the design of her own virtual utopia, RMB City. Fascinated by the world of “Second Life,” Cao Fei has created several works in which she is both participant and observer through her “Second Life” avatar, China Tracy, who acts as a guide, philosopher, and tourist. Cao Fei’s work has appeared in solo exhibitions at the Serpentine Gallery, London (2008); Orange County Museum of Art, Newport Beach, California (2007); Museum Het Domein, Sittard, Netherlands (2006); and Para Site Art Space, Hong Kong (2006). She has participated in the New Museum Triennial (2009); Carnegie International, Pittsburgh (2008); Prospect.1 New Orleans (2008); Yokohama Triennial (2008); and the Biennials of Istanbul, Lyon, and Venice (2007). Her work has appeared at New Museum of Contemporary Art, New York (2008); Walker Art Center, Minneapolis (2007); P.S.1 Contemporary Art Center, Long Island City (2006); and Asia Society, New York (2006). Cao Fei lives and works in Beijing.